Ray Woodall, has served as Business Manager of Local 11 Ironworkers since 2008. He previously served as Vice President and Executive Board member of the Union. He is also a current board member of the Philadelphia and Vicinity Ironworkers District Council. Ray has a 39 year membership in the Ironworkers and completed his four year apprenticeship training program. 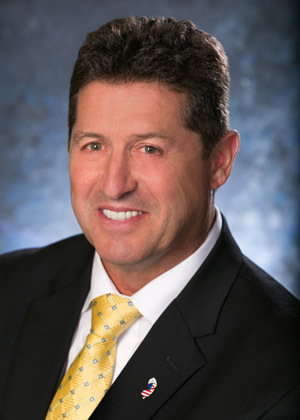 He is currently a Vice President of the New Jersey Building & Construction Trades Council. Ray has been active supporter of the Helmets to Hardhats program that connects National Guard, Reserve, retired and transitioning active-duty military service members with skilled training and quality career opportunities in the Labor Movement. Ray and his wife have been married for 38 years and have three grown children. An Ironworker at heart, Ray was born in Newark, NJ and attended school in Mountainside, NJ and later graduated Jonathan Dayton High School in Springfield, NJ. Ray Woodall brings credit to the Labor Movement because of his tremendous work ethic, strong leadership, and ability to provide job opportunities for the members of Local 11 Ironworkers.